For the first time, you can connect to the coffee shop Wi-Fi and your 4G mobile device simultaneously, using both Internet connections for their combined speed, and increased reliability. 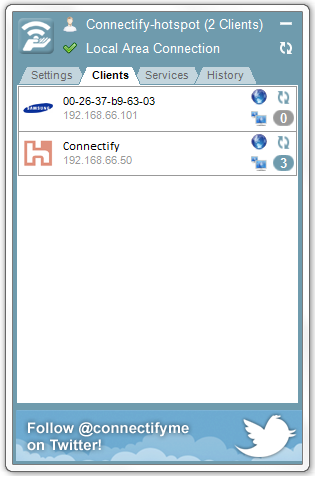 With Connectify Dispatch, you can even use two different Wi-Fi networks at the same time. Just connect a secondary USB Wi-Fi card (in addition to your laptop’s on-board Wi-Fi card) and Dispatch does the rest. At the click-of-a-button, you’ll be cruising the web at warp speed, using the combined throughput of both wireless networks. Even if you lose connectivity on one of those networks, Dispatch keeps you online, moving all of your traffic onto the working connection until both networks become available again. But thats only one scenario, with Dispatch you can connect to as many Internet connections as you have adapters for. Tethered smart phones, ethernet and wired connections, 3G and 4G mobile broadband adapters, Wi-Fi and MiFi – you name it, Dispatch can use it. The more connections you have, the faster you’ll go! Using multiple connections, Connectify Dispatch always gives you the most reliable Internet access possible. Furthermore, Dispatch allows you to select priority levels for your available Internet connections. By setting a connection to “Backup” Dispatch will only access it in the event that you lose connectivity on all of your “Primary” Internet connections. 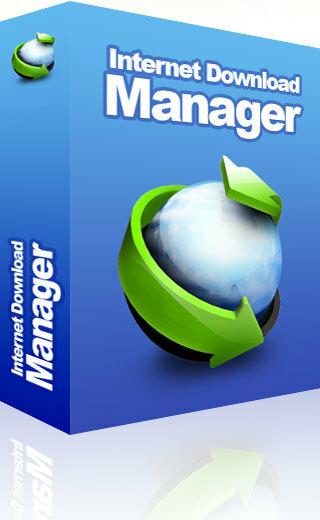 This way, you can easily designate a metered 3G or 4G modem, tethered device, or other expensive mobile broadband connection to be used only when absolutely necessary or in case of emergency. 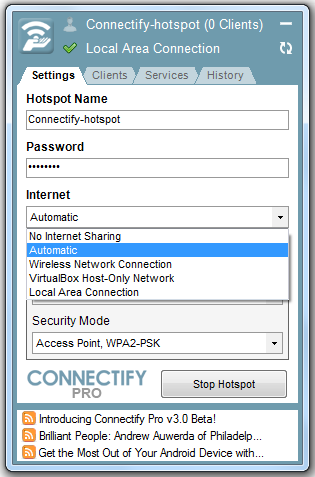 Connectify Dispatch is even more powerful when you use it alongside our flagship software router, Connectify Hotspot PRO. Just start a Connectify Hotspot while aggregating Internet connections with Dispatch, and in an instant you’ll be sharing your Dispatch “super connection” over Wi-Fi with all of your friends, co-workers, and other devices. 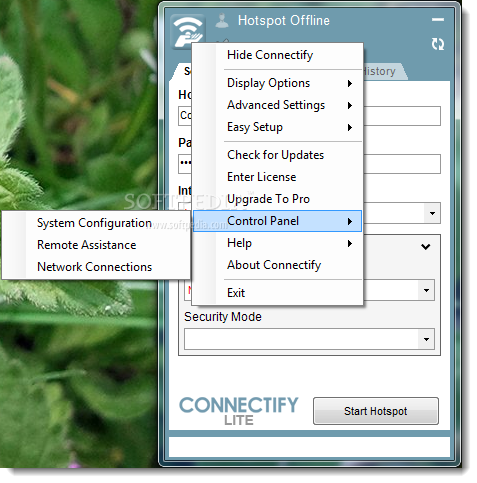 In fact, Connectify Dispatch works so well with Hotspot PRO that we’ve decided to offer the two products together as an exclusive bundle. For one low price, you get both Connectify Dispatch and Hotspot PRO, giving you the most powerful and easy-to-use networking software suite available today!